Aiconics, made in USA Insertion & Extraction tool all plastic body part no. M81969/14-11, RED/WHITE, photo shows front and back side of the tool. You are purchasing part number 6757-201-2201 Manufactured by DEUTSCH. Country Of Origin : GB. Tool Body Material : Plastic. 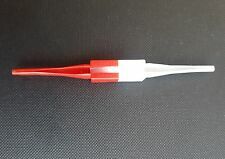 INSERTION/EXTRACTION TOOL. Item Details. If you're collecting in person. 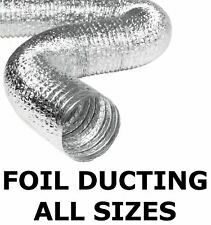 Flexible Acoustic Insulated Ducting Hydroponics Heat Recovery All Sizes. Laminated Aluminium Silver 5m LONG Insulated Ducting. Insulated ducting will keep the heat in the duct without it all escaping into the loft etc. THE CASE IS INCLUDED TO HOUSE THE TOOL. 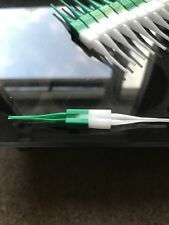 Brand new and unused insert and extract tool for Motorsport & Avionics connectors. Green and White. Part number M81969/14-01. 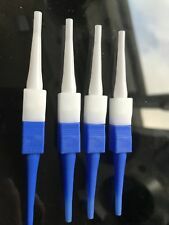 These tools are specified for Size 22 & 23 contacts in the Deutsch catalogue which means a lot of AS series, ASU and ASX series connectors require these tools. These may also be used with Souriau contacts and others. 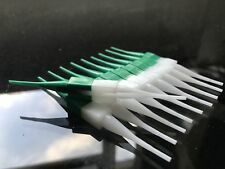 You are purchasing 12 off tools in this listing with free post. Your purchase will be handled promptly and efficiently so that you receive them as soon as possible. Series 801 Mighty Mouse Compatible Tooling. Part Number DRK230. Part Number Cage Code DRK230 11851. Supplied as a pair as shown in images. Front access size 10. Front access size 10. MPN 305183. Tool length 115mm. Manufacturer TE Connectivity. Size 16 tools are blue and size 20 tools are red. DRK124 Removal Tool MS17806 Mfg Daniels Condition used for Rolls Royce contracts in very good used condition. larger numbers available. Din Rail Connectors. Fuses & Circuit Breakers. Wireless System. Soldering Iron Stands. Body Style N/A. Tool Accessories. Tool Storage. Number of Ways N/A. EXTRACTION TOOL COMBO D SUB COAX/POWER. Country Of Origin : US.